The Newcrest Orange Challenge event village at Robertson Park will be open from 12:00pm to 5:00pm on Saturday for pack collection, rider briefing, valet drop-off and merchandise. Here’s a quick snapshot of what you’ll need to get done so you’re prepared for Sunday. If you didn’t get your rider pack posted you can collect it at the event village between 12:00pm and 5:00PM on Saturday. It includes mandatory items for the ride. Riders who entered during the early bird period can collect their bonus jersey. Jerseys will also be available to buy or swap for size (limited availability). 170 kilometre riders will need to pack and drop off their valet bags at the event village on Saturday. There is no valet bag drop off on Sunday. Read more here. There will be a rider briefing at 4:00pm on Saturday with detailed information about the ride. 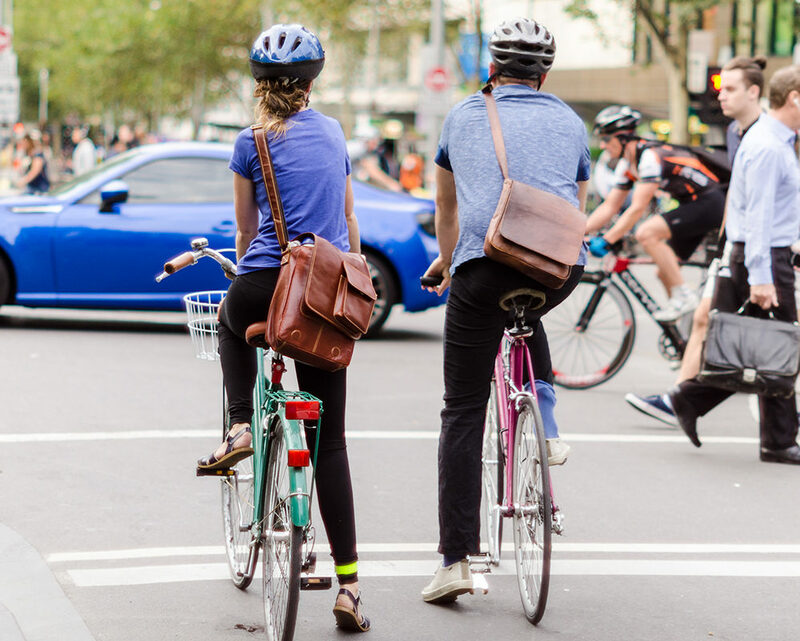 Bicycle Network members have access to an exclusive briefing and Q&A, detailed below. There will also be local food and drink options, free kids activities and live music for you to enjoy. Plus the all new Prologue in the Park, a dash for cash happening at Robertson Park on Saturday with $1000 up for grabs for fastest male and female sprinters! Note: Car parking is available behind the Orange City Council building, access via Lords Place. There will be a Womens Community briefing hosted by Sarah Anne (Founder & Head Coach at Karmea) to discuss the course and answer any burning questions you may have before the ride. This briefing and Q&A will take place at Groundstone Cafe, across the road from Robertson Park. All female riders are welcome. 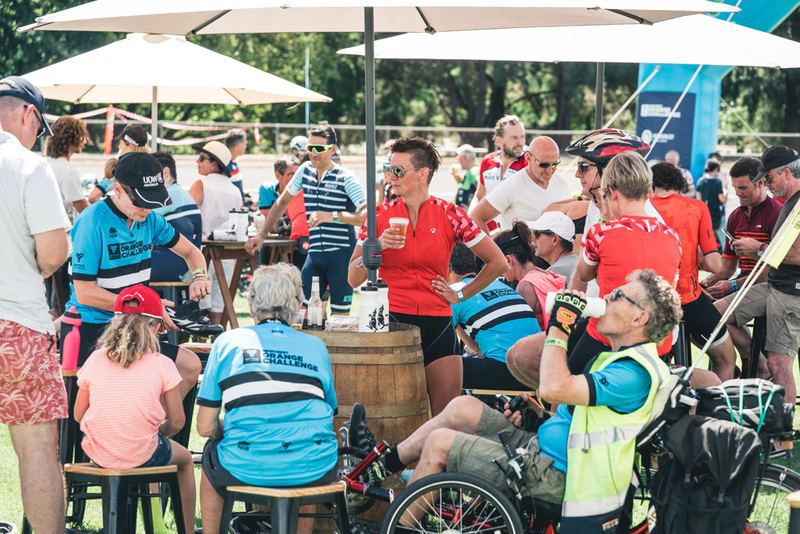 Bicycle Network members can attend an exclusive ride briefing and Q&A with Team Bicycle Network at 3:00PM at Groundstone Cafe (across the road from the event site). Members will also have access to priority pack collection from the Bicycle Network marquee, and get a complimentary kit bag and pair of socks! Not yet a member? You can join here or on the day to unlock these benefits and many more. There will be a briefing for all riders at Robertson Park on Saturday 30 March at 4:00PM. Riders should attend this briefing to hear final event information and important updates. There will be additional short briefings at the start line before the ride for each ride option. The Prologue in the Park is an all new dash for cash around Robertson Park the day before the main event, open to anyone who thinks they’re pretty quick on two wheels. There’s $1000 cash up for grabs for both the fastest male and female to complete the 700 metre technical sprint course, not to mention the priceless bragging rights over your fellow riders! See more information about Prologue in the Park here. Our rider valet service is available for 170km riders only, who will receive one A3 sized valet bag with their pack collection. In this bag you can pack any essentials (nutrition, change of clothes) you may want to collect at the lunch stop, and the valet bag will be transported ahead and be waiting for you at Mandurama. Please drop your valet bags off at the Bicycle Network tent at Robertson Park by 3pm Saturday 30 March. There will be no valet drop off at the start line on Sunday morning. The 2019 Newcrest Orange Challenge ride guide is your essential pocket book for the event weekend. Download to your phone and have a good read for everything from the event schedule to route details. Check out the key times on event day for each ride option below, including rider briefings, start times and sector cut-off times. *An average speed of 15km/h is needed to clear the sector cut-off times. 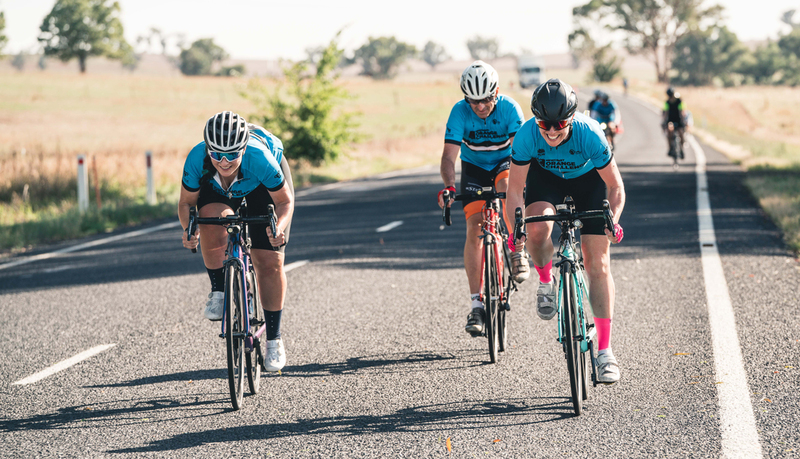 After completing the 70km ride you will enjoy our lunch, and then you and your bike will be bussed from Canowindra back to the Orange event village for celebrations. *An average speed of 17km/h is needed to clear the sector cut off times. *An average speed of 19km/h is needed to clear the sector cut off times. Finishing the Newcrest Orange Challenge is an awesome achievement and we can’t wait to celebrate with you! All riders get to enjoy our complimentary barbecue and a cold drink so make sure you collect your tokens from the friendly finish line team once you’ve arrived back at Robertson Park. If you finish the 70km ride in Canowindra, you’ll receive your lunch there before you jump back on a coach to Orange to join in the celebrations. We also recommend you rehydrate with an appropriate hydration drink and water. Don’t forget to collect your valet from 3:00PM at the event village. Bicycle Network members will have access to a complimentary post-ride massage at the Bicycle Network marquee! Bicycle Network’s Women’s Community helps encourage, empower and inspire more women to ride. This includes making sure our events like the Newcrest Orange Challenge are welcoming and supportive environments. Our official women’s ambassador for the Newcrest Orange Challenge is Sheyleigh Walsh, who will be leading training rides and social events, as well as riding on event day. Join our Women’s Community program below and help us ride towards 50/50. Are you bringing friends or family along to the event? We’re on the look out for volunteers to help us at the start line, finish line and rest areas on route. 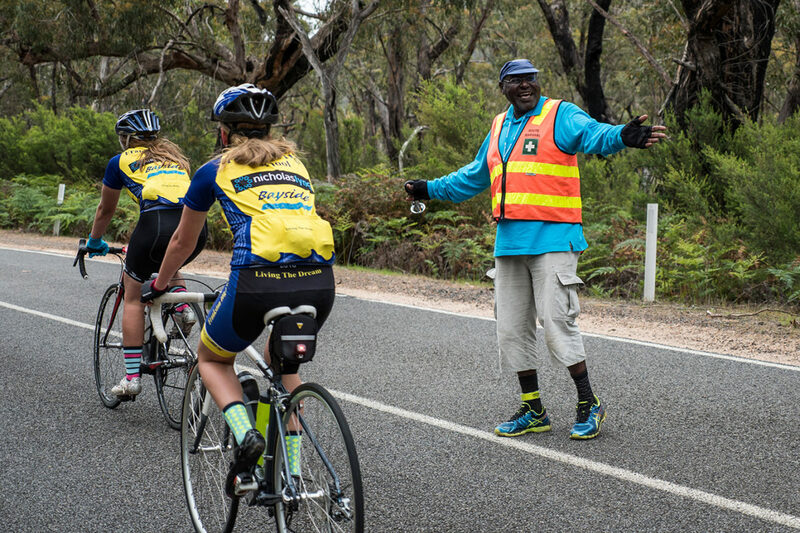 As part of our event team, all volunteers receive a Bicycle Network cap and drink bottle while also getting a front row seat to the action! Sound like a good time?